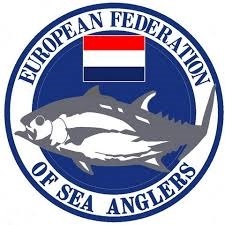 2020 EFSA European big game tournament for teams fishing out of Mindelo! We are proud to announce that in 2020 the EFSA Big game tournament for teams will be held at the Blue marlin capital of the world; the isle of Sao Vicente, Cape Verde. EFSA headquarters in Mindelo will be at The Sportfishing Club, Mindelo! Entry to the tournament needs to be completed as soon as possible. EFSA Netherlands has an option on all boats, ending at the beginning of 2019. Species Blue marlin, blue marlin and blue marlin! Occasionally a white marlin and maybe a spearfish. Wahooare always around, andmaybe big yellowfin and/or bigeye tuna. April, May and June are by far the best months to catch multiple marlin in a day.In 2017, participants in The PENN Challenge (15 teams) caught 109 blue marlin over 5 days. The heaviest marlin was estimated 900+ lbs. The tournament setup We will fish over four days and teams will be on different boats each day. We can provide a maximum of 15 boats in the tournament. Amongst these boats are the Mindelo top boats, La Onda Andromeda (Olaf Grimkowski), La Onda Mila (Marty Bates), Amelia ll (Zak Conde), Smoker (Matthias Henningsen),Hebe (Bert Bouchard) Victoria, (Bryan Matiba), Sambo (Marco Canu) as well as Eric Leblond’s Sirategui, Stuart Simpson’s NhaCretcheu and Steve George’s Sea Quest and many others. In fact, the complete Mindelo fleet has agreed to compete in the 2020 tournament. IGFA &Offshore World Championship (OWC) EFSA supports the goals of IGFA. We will fish by IGFA ruleswherever possible. Both hotels are offering a special tournament rate for EFSA Participants. Charity goal The 2020 tournament is organized by EFSA Netherlands. Some of our members have visited Mindelo before and opted to add a charitable donation to the 2020 tournament. The tournament’s charity donation will be the support of the children & teens shelters of ICCA Mindelo. The shelters provides aid to orphans and mistreated or abused children. In 2017 the participants, most of them EFSA members, sponsors and crews in the PENN Challenge raised over € 9.000 for ICCA Mindelo. Costs Tournaments costs: Two person team € 5.000 costs p.p. €2.500 Three person team € 5.200 costs p.p. €1.735 Four person team € 5.400 costsp.p, €1.350 Included are four full days fishing, Tournament shirts, welcoming party, Closing dinner, Daily drinks at the Mindelo Sportfishing Club, Contribution to charity , et cetera. Not included are costs of flights, hotels, transfers and daily food/beverages. The tournament costs can vary up to € 200 per team depending on the number of entries. All surplus after deducting the tournaments costs go directly to our charity in Mindelo. Entry Due to the fact that only 16 boats are available in Mindelo. We are using two entry periods. The first entry period is open to only one team per country and starts today. The first period ends on November 15th 2018. The second period starts at November 22th and is open to all EFSA Members. The second period ends on December 31 2019. Info and Entry to the 2020 EFSA EU Championship. Send an email to our tournament directorToine van Ierland: aierland@xs4all.nlor EFSA Netherlands president Frans van Oss: fransvanoss@upcmail.nl Down payment Your entry is completed after transferring a deposit of € 500 per person to ABN AMRO Bank, BIC code; ABNANL2A, IBANaccountnumber NL17ABNA0812614747, account name,EuropeanFederation of Sea Anglers, add the following text “Entry 2020 EFSA EU Tournament, your name and country you represent”. Entry is binding. Deposits are non-refundable, unless you find a replacement team to compete in the 2020 tournament. Flights, transfers and hotel costs are not included. Participants travel to and stay in Mindelo at their own risk.